Paramount Home Media Distribution has moved to the first street date in November for its next round of TV-on-DVD selections. These long lead announcements are usually a sure sign that release news for something like, oh say a summer blockbuster — Transformers: Age of Extinction — will be coming soon (don’t step on the smaller releases, relatively speaking). 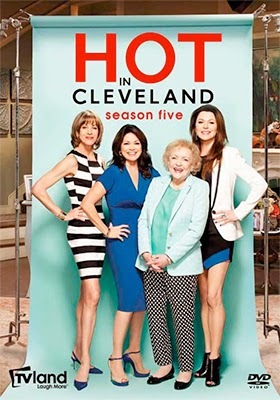 Betty White (and friends) is the leader of the parade on Nov. 4 with the three-disc collection of Hot in Cleveland: Season Five. Included in the mix is the series first animated episode as well as only the second “live” episode in the series, which marks its 100 episode with this, the fifth season of this popular sitcom. Streeting on the same date is the three-disc collection of Exes: Seasons One and Two, starring Donald Faison, Kirsten Johnston, Kelly Stables, Wayne Knight and David Alan Basche. Rounding out the selections on DVD for Nov. 4 are three more Perry Mason Movie Collection Double Features. 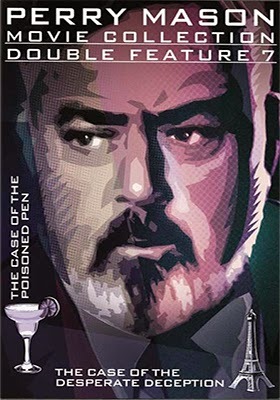 Included in this round are: The Case of the Poisoned Pen (1990, with David Warner as the victim … and too many suspects to count) and The Case of the Desperate Deception (1990, filmed on location in Paris) and The Case of the Ruthless Reporter (1991, with John James, Jerry Orbach and Kerrie Keane). which is teamed with The Case of the Maligned Mobster (1991). The third double-bill is The Case of the Silenced Singer (1990, with Angela Bassett and Vanessa Williams) and The Case of the Defiant Daughter (1990, with Robert Culp and Robert Vaughn). Warner Home Video has added a DVD edition of director Michael Lindsay-Hogg’s 1977 film adaptation of the Muriel Sparks Nun-themed novel, “The Abbess of Crewe” — which reached the screen as Nasty Habits — to its Aug. 19 release calendar. This all-star comedy (a spoof of the recent Watergate scandal) features the likes of Glenda Jackson as Sister Alexandra and her minions, Sister Walburga (Geraldine Page) and Sister Mildred (Anne Jackson), who are pitted against Sister Felicity (played by Susan Penhaligon) and her novice nuns over control of the Abbey of Crewe. It is a no-holds-barred affair with comedy veterans (Jerry) Stiller and (Anne) Meara, plus Eli Wallach, Rip Torn and Melina Mercouri joining the fun. Also added to the Aug. 19 release calendar is the five-disc DVD set of Maya: The Complete Series, teaming Jay North (of Dennis the Menace fame) with Sajid Khan in an adventure series that was filmed on location in the Kashmir region of northern India. If you’ve visited The Louvre in Paris, then you’ve surely taken the long walk down to the room containing Leonardo da Vinci's Mona Lisa. It’s worth the legwork, but you have to stand off to one side to shoot a picture of the masterpiece if you are using a flash camera as the glass covering the painting reflects the light. Now imagine that famous painting is gone … stolen!!! There’s just an empty space on the wall. That’s exactly what happened in 1911 when Vincenzo Peruggia, a former employee of the museum (so he knew the layout), hid overnight and then blended in with the cleaners the next morning. Unnoticed by either the workers or the security people Peruggia was able to make off with the painting. 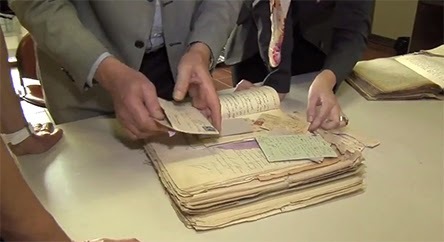 By Christmas of 1913 he had transported it to Florence, Italy, where he would attempt to return the Italian national treasure (stolen by Napoleon) to its proper home … he was caught. 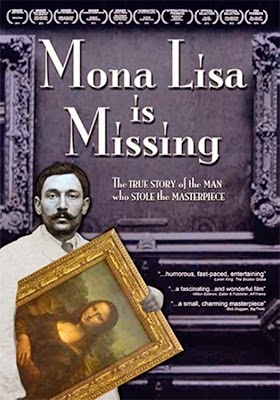 On Oct. 21, Virgil Films & Entertainment will release documentary filmmaker Joe Medeiros’ Mona Lisa is Missing, an insightful detective-like examination of what he believes Peruggia’s motivation was for this great art heist. 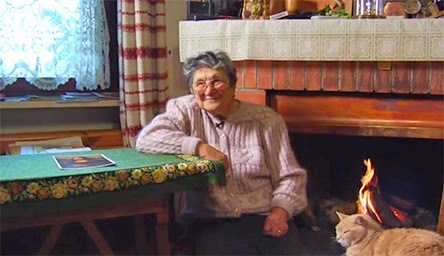 With the help of researchers, art experts and Peruggia’s 84-year old daughter Celestina (and her children Silvio and Graziella), Medeiros was able to piece together (with original documents and letters from the period) a compelling search for the truth. If you’ve ever been to The Louvre and seen the painting, or plan to … or if you are just fascinated by a good mystery, then Virgil Films & Entertainment’s Oct. 21 DVD release of Mona Lisa is Missing will be a must-see. Bonus features for this award-winning documentary include commentary by filmmaker Joe Medeiros, who is joined by producer Justine Medeiros, and 12 featurettes (roughly 90 minutes), including one detailing the famous Swiss or “Isleworth” Mona Lisa. Canadian writer/director Jason Buxton’s Blackbird, his award-winning tale of community group-think and societal mob action against an outcast teen named Sean (Connor Jessup — best known as Simon in the Saddle Club television series) will be making its DVD debut on Oct. 7 courtesy of Breaking Glass Pictures. Filmed in Nova Scotia, Sean is something of an outcast — not part of the hockey clique — goth-like in his appearance, but bus-riding friends with Deanna (Alexia Fast), who just happens to have a boyfriend on the hockey team. The slide into hell begins with this simple relationship … they are just friends who ride on the same bus home in the afternoon. When her boyfriend begins to think that there’s more going on between Sean and Deanna he springs into action and gives him a few of his best hockey moves that involve wall-slamming and threats. That’s the escalation. Next, a well-meaning teacher councils Sean to channel his feelings (anger, hurt, etc.) into writing about how he feels. He does … and it takes the form of a fantasy revenge tale that smacks of the next Columbine. A private writing meant to channel and release anger. What could go wrong with that? Once his writings go viral the authorities scoop him up. His father, like most in rural Nova Scotia, has a gun collection, so Sean is guilty, guilty, guilty of planning a school massacre despite all of his statements to the contrary. 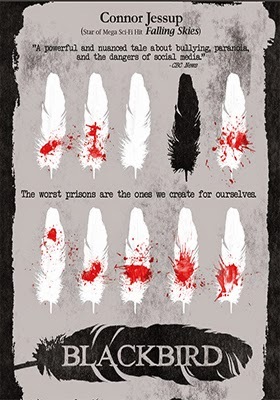 Throw in some bad legal advise and it’s off to Waterville, the local “reform” school for real criminals. Sean has entered hell … a beating by the hockey team is starting to look pretty nice about now! From bullied outcast to Waterville criminal with nothing more that some words scribbled in a notebook, but the whole community can now breathe a collective sigh of relief. 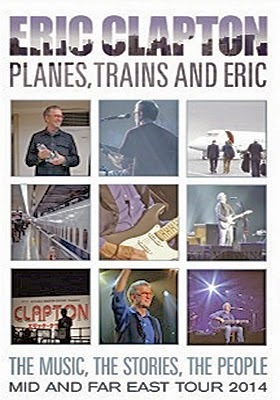 Eric Clapton will be the featured recording artist on Nov. 4 with Eagle Rock Entertainment’s DVD and Blu-ray presentation on Eric Clapton: Planes, Trains and Eric. Showcased here are 13 live performances culled from his recent 2014 concert tour. These are intercut with conversations with Eric Clapton and members of his band, plus rehearsal and soundcheck footage and “fly on the wall” travel insights. A massive 16-disc DVD collection of Wings: The Complete Series is already in place for delivery on Oct. 28 from Mill Creek Entertainment. But clearly Mill Creek Entertainment isn’t done yet with its Christmas-season collectibles this year as news arrived this week that they are matching it … and going even bigger with DVD release news about another 16-disc collection and (drum roll please) a 23-disc set. Both are set for delivery on Nov. 11. 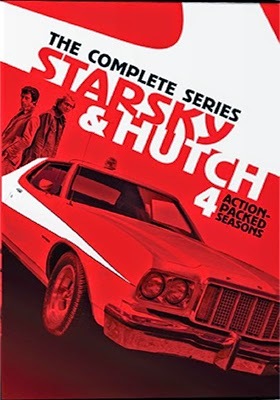 All four seasons (93 episodes) of the David Soul/ Paul Michael Glaser cop series (and don’t forget Huggy Bear — Antonio Fargas), Starsky & Hutch: The Complete Series, will be available on that date as a 16-disc DVD collectible set. On the same date, Nov. 11, all 111 episodes (the full five seasons) of the Michael Landon and Victor French family and faith television series, Highway to Heaven: The Complete Series will also arrive at retail. It is being presented as a whopping 23-disc collection. It was revealed this past week that director Dave Green’s riff on E.T. 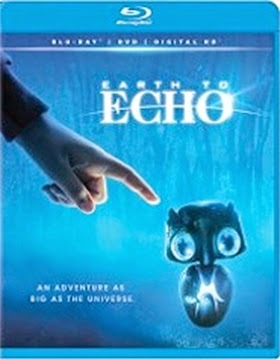 The Extra-Terrestrial and Explorers, Earth to Echo, will be getting a DVD and Blu-ray push from 20th Century-Fox Home Entertainment on Oct. 21. The ARR for that October street date works out to 109 days and summer multiplex ticket sales current register right at $37 million. 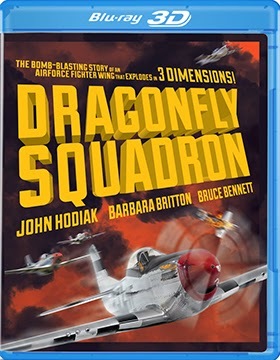 Olive Films announced this past week that a 3D Blu-ray version (also included is a 2D playing option), as well as a DVD SKU, of director Lesley Selander’s 1954 Korean War film, Dragonfly Squadron, will be released on Oct. 14. Also heading to both Blu-ray and DVD from Olive Films are the Boris Karloff and Viveca Lindfors English-dubbed horror gem, Cauldron of Blood (Oct. 14) and director Allan Dwan’s 1949 Oscar-nominated (Best Actor nomination for John Wayne, plus three others) war drama, The Sands of Iwo Jima, starring John Wayne and John Agar (streeting on Nov. 11). 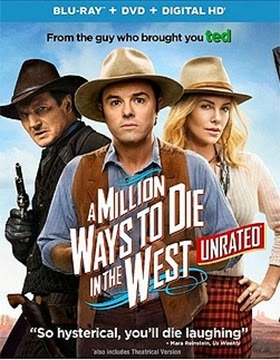 Universal Studios Home Entertainment has added DVD and Blu-ray/DVD Combo Pack (with UltraViolet) editions of writer/director Seth MacFarlane’s Western comedy, A Million Ways to Die in the West, to its Oct. 7 release calendar. The ARR for this all-star (Seth MacFarlane is joined by Charlize Theron, Liam Neeson, Neil Patrick Harris, Amanda Seyfried, Giovanni Ribisi and Sarah Silverman) summer theatrical comedy works out to 130 days and domestic tickets currently stand at $42.6 million.